The Downtown Rangers, in partnership with the Mayor’s Faith Initiative and Clark County’s Help Hope Home, are joining forces to host two nights of networking for faith groups, business groups, community members and nonprofit organizations. 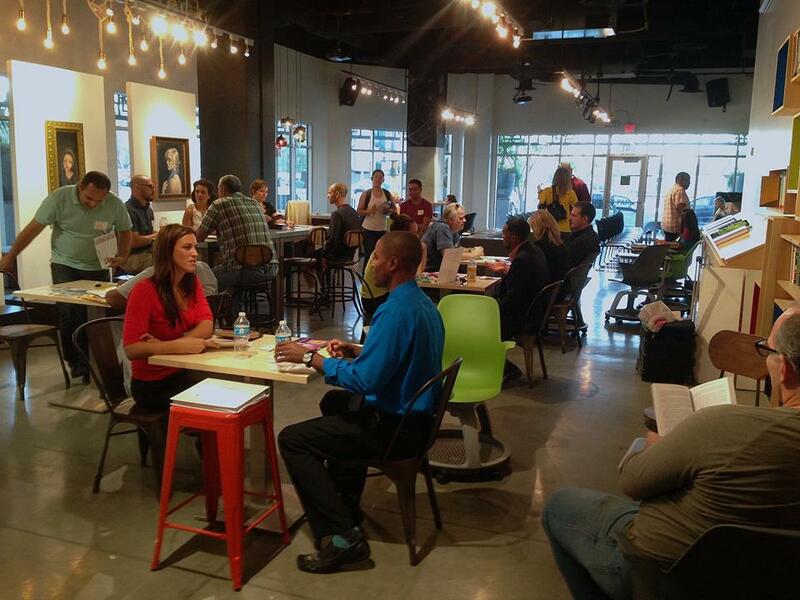 Dubbed “Speed Dating”, these two nights will allow volunteers in the community to find their non-profit agency match. Why the Speed Dating theme? 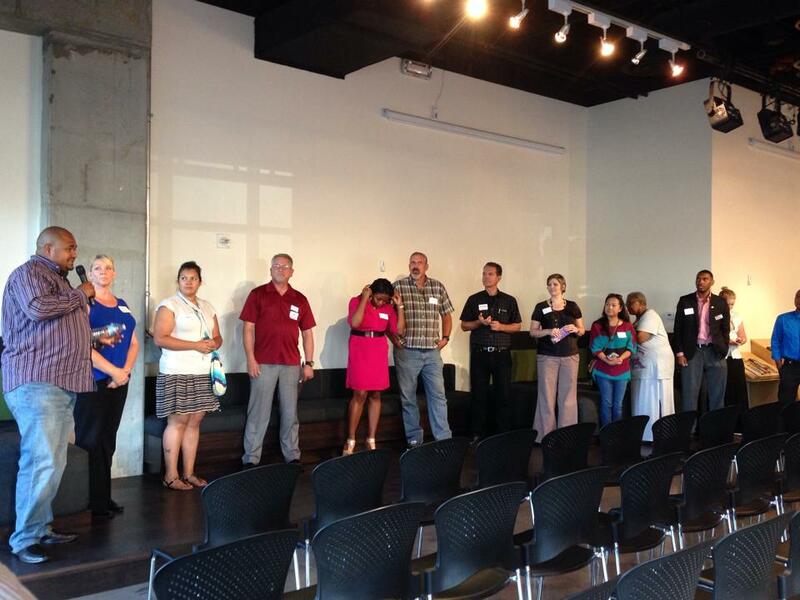 At the first “Speed Dating” event held on June 17, 2014, homeless agency providers were invited to downtown Las Vegas with the help of Clark County’s Help Hope Home and the Mayor’s Faith Initiative. For that first event, the focus was on families and youth. The two “Speed Dating” events were made possible by a donation from the Downtown Project Community Grant, and Brenna Bell was instrumental in helping apply for this grant. That grant allowed for the group to get catering from Pinches Tacos, Rachel’s Kitchen and Nacho Daddy. David Gould of The Window allowed the team to use the space. 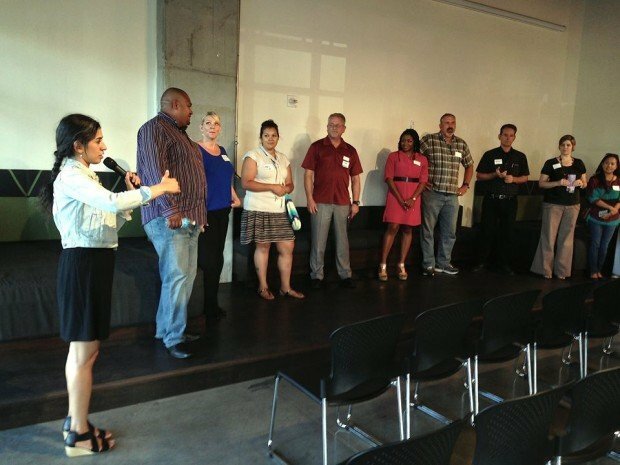 Merideth Spriggs says her role in the downtown Las Vegas community is unique. Merideth Spriggs has only lived in Las Vegas for a year. She began volunteering with homeless services in San Diego 7 years ago. Merideth Spriggs encourages entrepreneurs and startups to get involved in this community event. “You may not connect with homelessness or think it is an issue that concerns you. However as a taxpayer we pay for services homeless use such as police, 911 calls, hospitals, clean up, and shelter beds,” Merideth Spriggs said. “I always say homelessness is an issue that everyone can find a place in you just have to know what sparks their interest. Some people like pets, the Shade Tree has a pet shelter. Other volunteers might be skilled at teaching interviewing skills and would work well at Larson Training Centers. My dream is to get everyone plugged into agencies where they are a great fit,” she said. About Downtown Rangers: The Downtown Rangers are the ambassadors of the downtown Las Vegas community. Do you need help, directions, or a recommendation? We’ve got that. The Vision of the “Downtown Rangers” is “To help create the most enjoyable downtown experience worldwide”. The Rangers is a cadre of trained individuals whose purpose is to enhance the of life of the residents, business owners, and visitors in the Fremont East District of downtown Las Vegas.